The "Strat in the closet" is an old cliche in vintage guitar circles. Someone buys a guitar to learn, gives up, and stashes it in a distant corner of the house for their descendants to uncover and sell decades later. You hear these stories a lot with '50s Gibsons and '60s Fenders, but it's not every day that you encounter a closet–condition guitar that dates back to 1908. 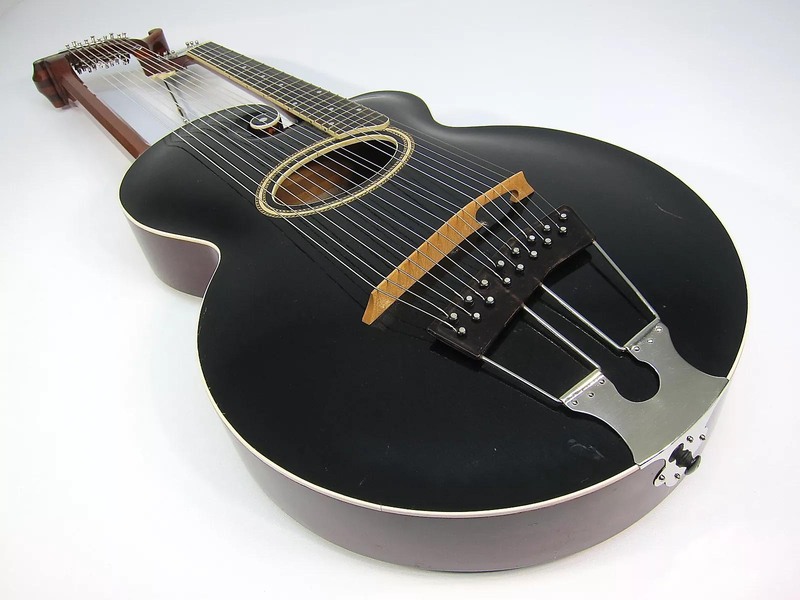 In the case of this Gibson Style U harp guitar, it went through two long generations of dormancy before landing here on Reverb. 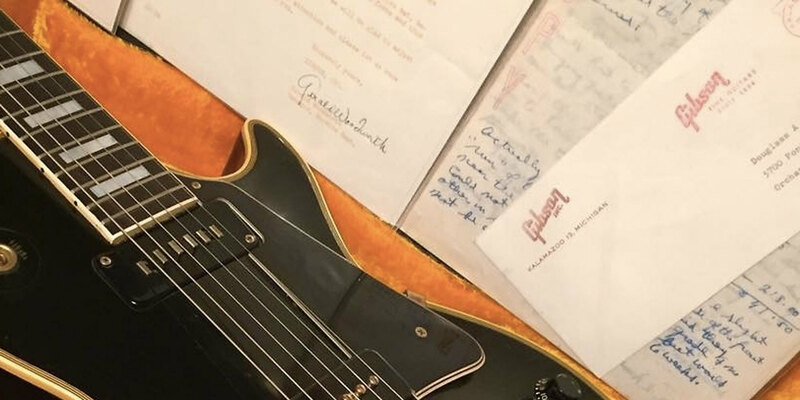 As seller John Nelson of Vintage Gear America describes, this guitar was purchased new by a teacher on the southwestern American frontier to play for her students. Deciding it was too large and unwieldy for schoolhouse use, she tucked it away in her home for the better part of a century. Her son, at age 90, gave it to his caretaker. The positively charming provenance accounts for the immaculate condition of this piece. 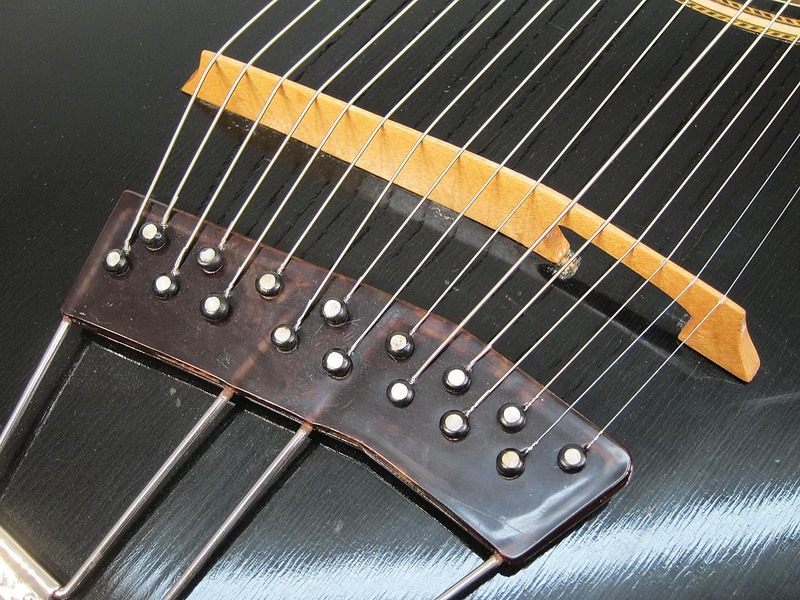 Vintage Gibson harp guitars are elaborate instruments with antique parts, and most extant examples exhibit structural repairs or replacement hardware. Not so with this specimen. Though purchased by a teacher, at $265.96, the Style U was Gibson's priciest model at this time and would remain so until 1934. 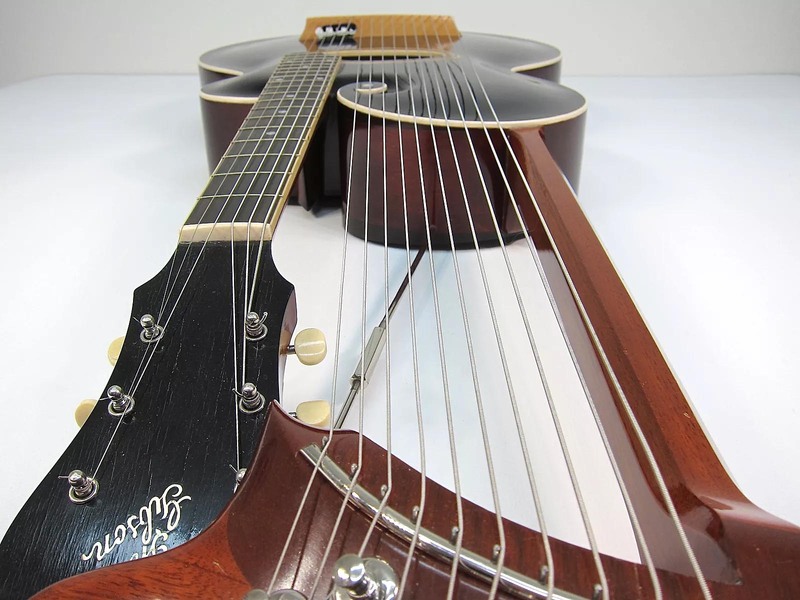 By 1908, Gibson's harp guitar lineup had dwindled from four models to just the Style U, with a refined set of features reflecting the innovations and aesthetic preferences of early Gibson work. 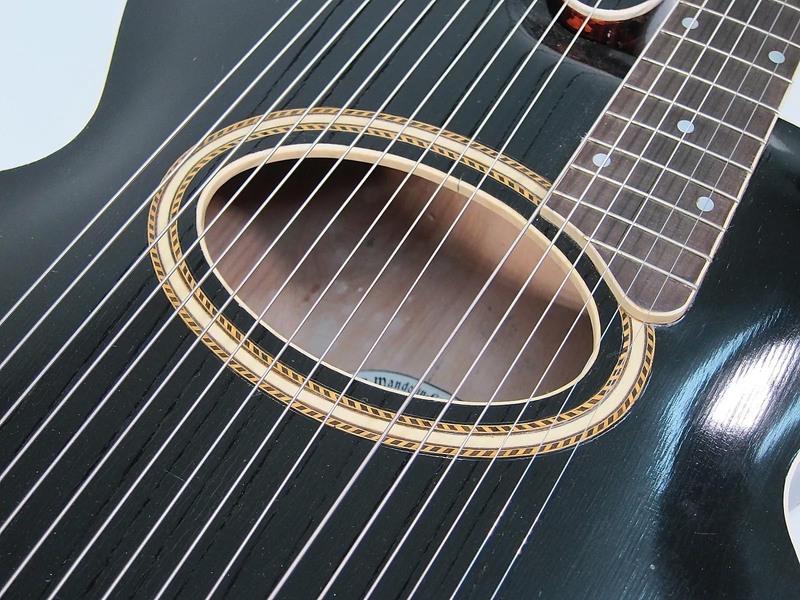 The ornate scrolled upper horn is like a Gibson F–style mandolin, while the oval soundhole with black and white rosette can be found on other high-end Gibsons of this era. 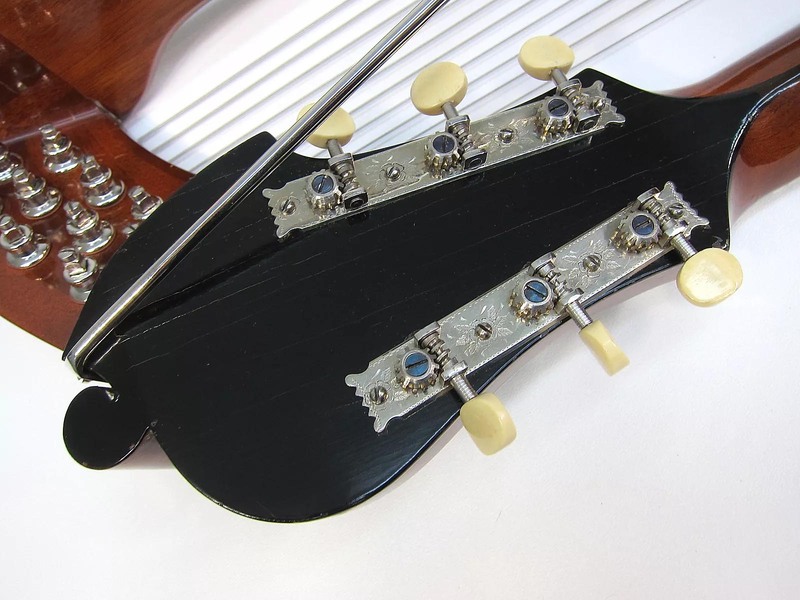 Unlike the earliest generation of Gibson harp guitars, this model features a movable maple bridge and a two–part tailpiece, which replaced a more embellished glued–on bridge in 1907. 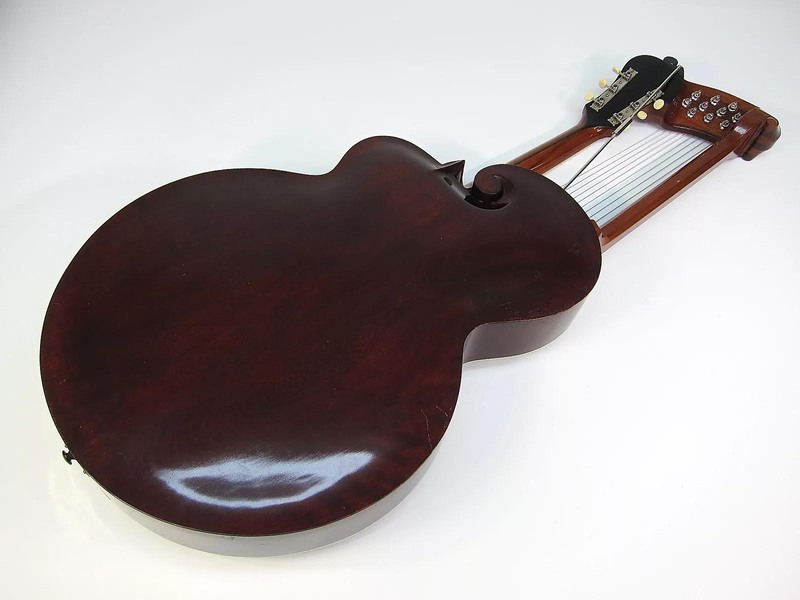 The back and sides were listed as maple in Gibson's catalogs, but most were actually walnut supporting an iconic Gibson arched spruce top. 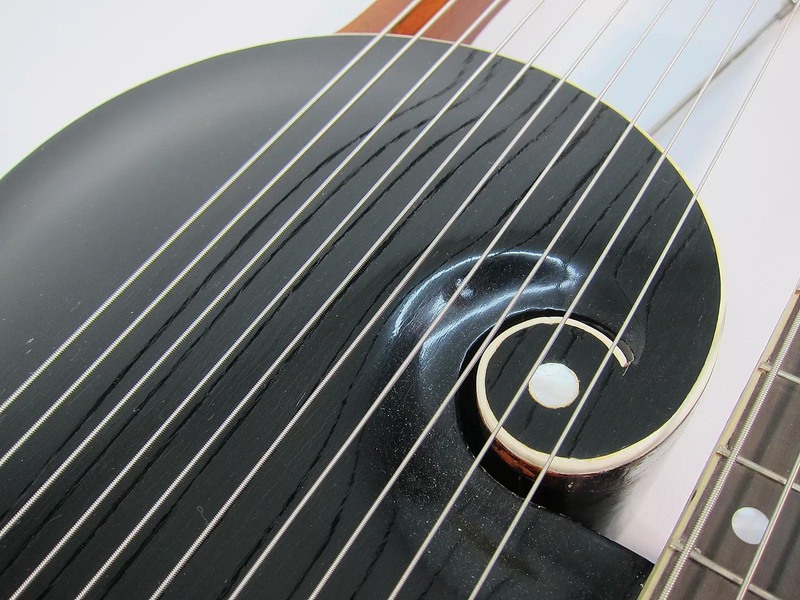 Gibson was not the only American guitar maker to build harp guitars in this period, and the concept of lower, pluckable strings goes back at least as far as the Renaissance, with instruments like the theorbo. 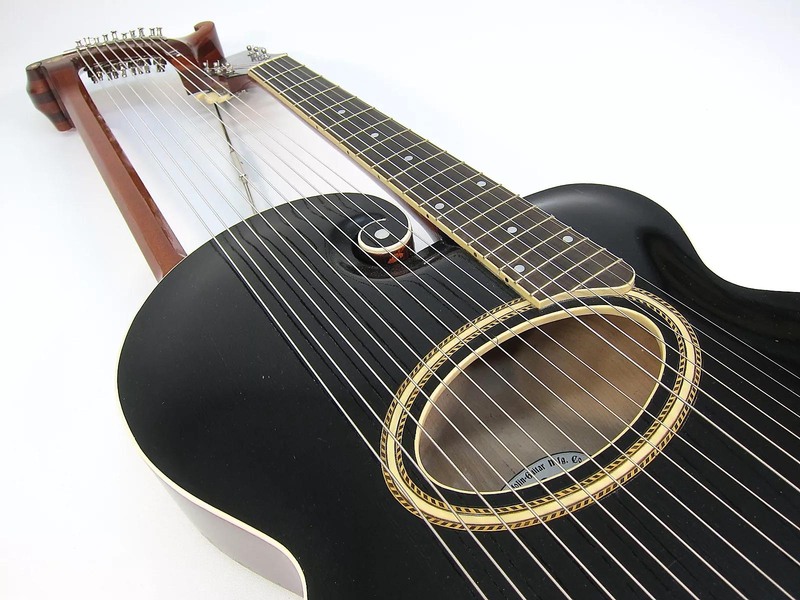 As commentators like George Gruhn have observed, though, Gibson aggressively advertised these instruments as the next evolution of the guitar, likening the relationship between the harp guitar and guitar to that of the piano and the harpsichord. 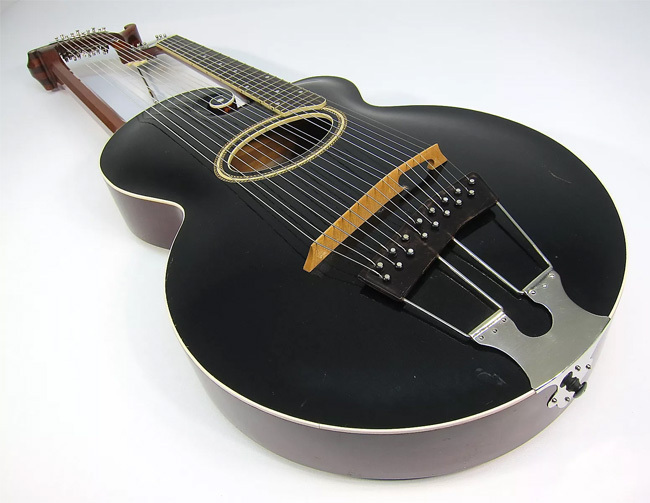 Beyond a brief stint of popularity in the early '20s, however, the harp guitar faded into obscurity, and today — apart from images of Robbie Robertson holding it in The Last Waltz or James Iha in the video for "Tonight, Tonight" — these instruments are little more than a historic curiosity. 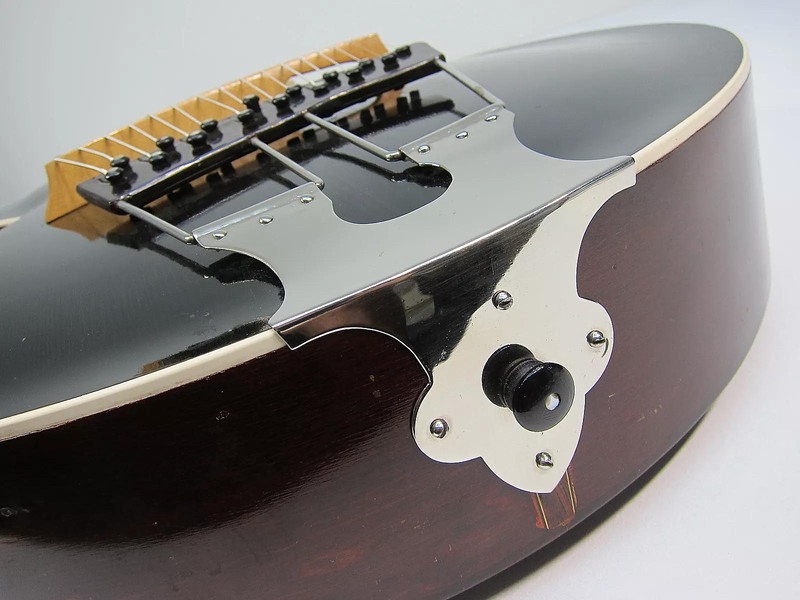 Gibson a century ago took a risk on the guitar of the future only to see the market move in the opposite direction. 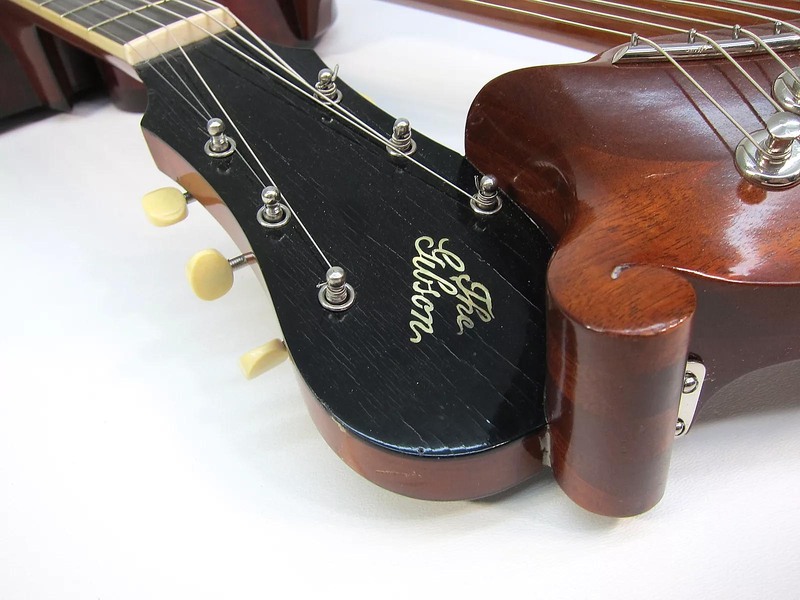 As far as Gibson’s exploration into novel products goes, the Style U is not unlike the Gibson’s Firebird X and other robot tuner expeditions. What's rare even among this best-of-the-best vintage class is what we found on a recent listing for a beautiful 1956 Les Paul Custom.